Ellie has recently been named an “artistic” quilter by the Lewiston Art Council. 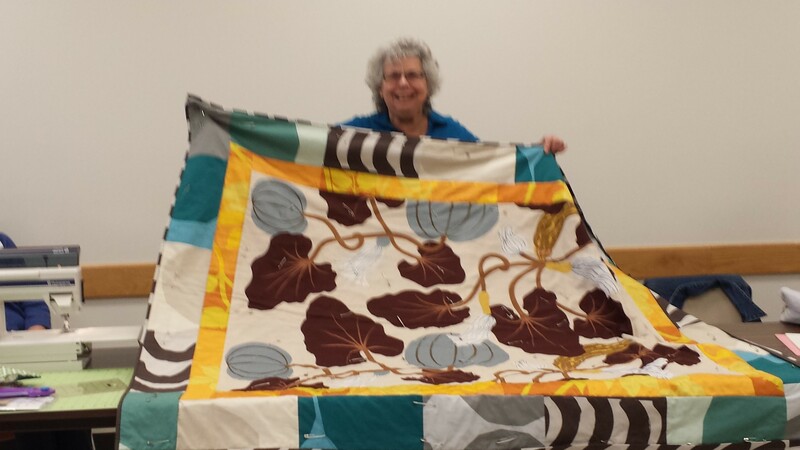 She has 9 quilts hanging beautifully in the Lewiston, Maine Public Library. Ellie used Marimekko fabrics in the quilt shown.